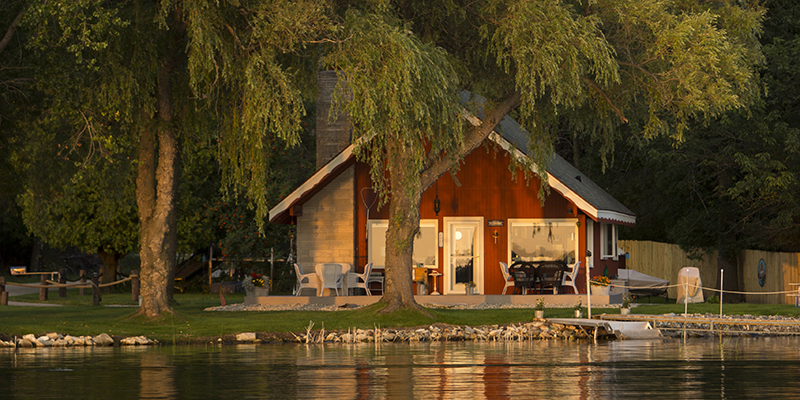 Our home is set on a quaint piece of Door Countys shoreline. Just steps from the waters of Sturgeon Bay, its location is very private, yet convenient to the city. From the Chalets large patio you will enjoy the early morning sunshine peaking from the east and the evenings captivating colors lighting up the surrounding bay. We hope you take pleasure in its unique hidden setting and think youre going to love the charm of our year-round shore side retreat. For booking and additional information, please visit our website.